Summary: Social media safety has become increasingly essential, as criminals regularly target the platforms for their own gain. Our constant connection to sites like Twitter and Facebook provides the perfect target for siphoning data. We recommend using ExpressVPN when accessing social media, so you can share securely, wherever you are. While there are countless social networks out there, Facebook, Twitter, Instagram, LinkedIn, and YouTube are among the most popular sites. Today, there over 2.46 billion social media users worldwide, with developed countries like the U.S. seeing up to 78% of their population regularly logging on. With so much personal data uploaded every day, social media privacy has become an increasingly significant issue. Cybercriminals and businesses alike see the platforms as an information goldmine. They can steal your personal information and use it for nefarious purposes like ID theft and/or sell it to third-party vendors who will use your information for their personal use. 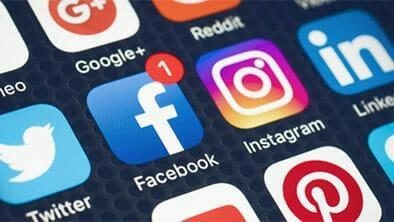 Whether it’s to protect yourself from theft or to avoid endless spam, it has become more critical than ever to know how to stay safe on social media. Social. One of the most significant dangers of social networking is that criminals can use your information for identity theft. Cyberstalking. It’s easy for dangerous people to follow your life by tracking your posts. Data scraping. Both businesses and criminals gather data from social media as a means to their own financial gain. Personal data leaks. Intimate information, shared privately or with followers, can be intercepted and leaked – as blackmail, harassment or even by accident. We are connected to social media constantly: on the train, in the coffee shop, at work. We bounce between open Wi-Fi networks and public hotspots, without even considering the dangers. Cybercriminals employ countless methods to access and profit from our personal data, so we have to take steps to ensure our social networking safety. A VPN is a software package that creates an encryption tunnel around your device’s online connection. By re-routing your traffic through a preliminary server before you connect, it enhances your safety on social media and privacy in general. ExpressVPN is our top recommendation for protection from the dangers of social media. Fast speeds across servers in 97 countries guarantees premium service quality. Top quality security features including 256bit encryption, two protocol options, and no downtime. 24-hour live support for fast resolutions if a problem should arise. Express VPN costs $12.95 per month, with a 30-day trial period and money-back guarantee. You can save 49% by opting for an annual subscription, and receive an extra three months free! NordVPN is a family orientated service, which provides high-quality protection for social media. Multiple device connections are ideal for when your kids get their first accounts. Kill Switch shuts down the internet if VPN disconnects. DoubleVPN feature routes you through two servers to guarantee security. NordVPN costs $11.95 per month, with 30-day free trial and full-refund available. Their exclusive 2-year solution is currently just $3.99 per month. Although PrivateVPN owns a smaller server system, its dedication to privacy guarantees your social media safety. Strict zero-log policy, so no data is stored elsewhere while you’re protecting yourself on social media. PrivateVPN is currently offering 25% all of their price plans. Get their service for just $8.21 pm, or $4.15 pm for a year – plus an extra month free! You can trial their service for 30-days with money-back guaranteed. Although IPVanish is not our highest-rated service, it still has proficient features for ensuring social media privacy. Good server numbers to avoid overload and connection drops. 256-bit encryption and L2TP VPN protocol available on all price plans. Get IPVanish now for $10.00 a month and save 17 percent. If you opt for a yearly subscription, then you’ll save 46% and pay $6.49 per month. IPVanish offers a money-back guaranteed trial period, but it’s only seven days. Sign up with IPVanish VPN here. PureVPN is a popular provider that is ideal for beginners. Numerous extra security features for customizable protection. PureVPN costs $10.95 a month, but only offers a seven-day money-back guarantee. If you commit to 2 years, the price drops by 73%, at just $2.80 per month. Although a VPN protects your connection, the way you use social networks can still put you at risk. Follow these social media safety tips for optimum online security. Privacy Settings. Explore privacy settings on each platform to reduce your visibility online. Password Management. Create strong, complex passwords – and change them regularly! Mindful Sharing. Be careful about what information you willingly share on social media. Two-factor Authentication. Enable remote log-in codes to prevent access if your password is intercepted. Third-Party Add-ons. As external companies create all games and plug-ins for social networks, the platforms cannot guarantee their security – so only choose well-reviewed add-ons. Cybercrime is always developing and changing. All of the above tactics can help you keep ahead of the game. However, be sure to also stay up-to-date on potential threats through online security blogs and websites. No matter where you are in the world, your social media privacy is threatened. Global cybercrime schemes are active constantly, so using a VPN service is essential to put your mind at ease. By installing the software to filter your traffic, you can share, like, comment & retweet without threatens to your safety! We recommend ExpressVPN, as it’s the highest-rated provider for social media safety. < Previous Is Your Workplace Cyber Secure?